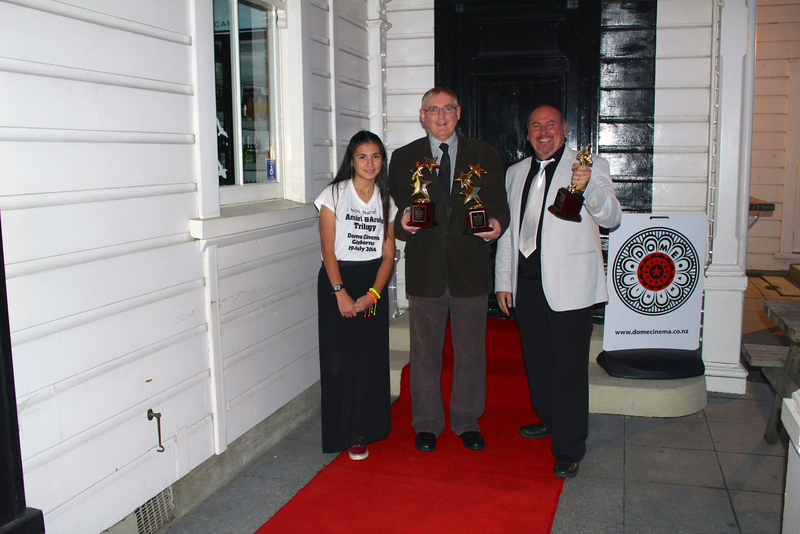 Amiri & Aroha World Premiere is a resounding success! Thank you to everyone who helped make our World Premiere such a resounding success. It was great to have so many of the cast and crew at the premiere and we had a wonderful reunion. I was overwhelmed by the support of the Gisborne public. The Dome Cinema was packed to capacity and the staff worked overtime to cook pizzas for everyone! I really appreciate all the kind comments you have all made about the films. We will be posting an album of photographs from the Premiere in the next few days. In the meantime, a very big thank you again to everyone who helped make my dream come true!